The roadblocks were put up at the beginning of the Intifada, and during the entire time I was in Palestine, they controlled Palestinian movement. You couldn’t go more than 20 miles in any direction without hitting one. 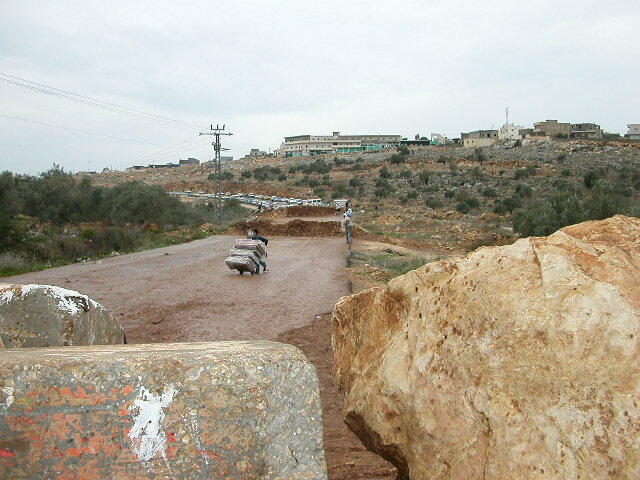 There were roadblocks at the entrance to every village in Salfit. Now I gather they are gone, because the Wall basically seals in the Palestinian areas of the West Bank, so people appear to have more freedom but really they have less. The guy you see is a mattress merchant, and this is how he had to transport his goods from the supplier in Tulkarem to his store in Biddia. This is my friend Munira's house, in Mas'ha Village where Rania lives. Munira and Hani Aamer live in the last house in Mas’ha, right next to the settlement of Elkana. The army wanted to tear down their house to build the Wall in Mas’ha. They offered to pay them any amount, but the Aamers refused to leave their home. In 2003, there was a peace camp there, where Israeli and Palestinian activists stayed day and night to try to prevent the demolition of any of the buildings on the land. 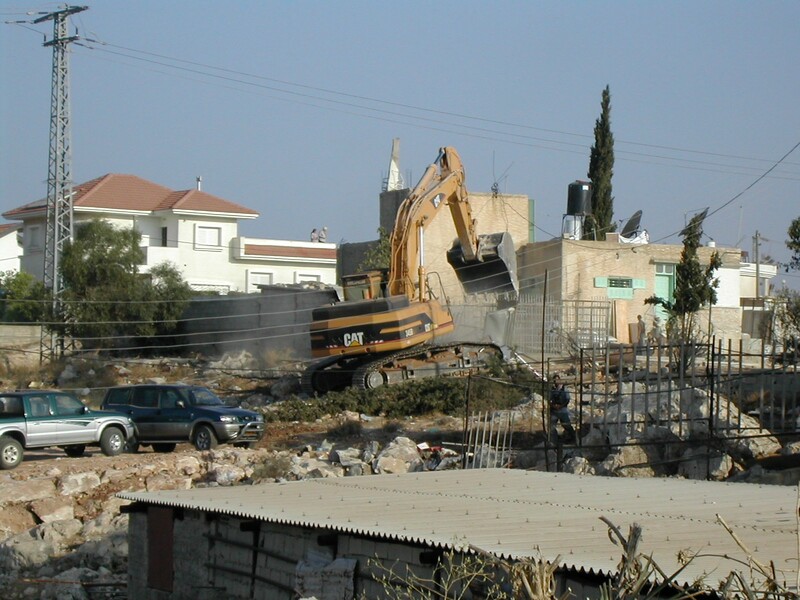 In this photo, the bulldozer is demolishing their chicken coop and some other animal shelters. Several dozen Israeli activists were arrested trying to block the bulldozer. Since then, the army has made the Aamers’ existence a living hell. When I met Munira, she was living with the deafening noise of the bulldozers twelve hours a day, a virtual prisoner in her house with her two smallest children, with armed guards and soldiers patrolling and attempting to prevent anyone from visiting her. I envision Abu Anwar looking something like this gentleman. Hanan and Intisar are sisters, neighbors and best friends. Both of them work with the People’s Party, the former Communist Party, in the city and villages of Tulkarem, and their brother Suheil is one of the leaders of the Popular Committee Against the Wall in Tulkarem. Hanan and Intisar work with the Women’s Union, and Hanan also works for the Palestinian Center for Peace and Democracy (which sounds like a CIA front but isn’t) doing workshops for women on the political process. 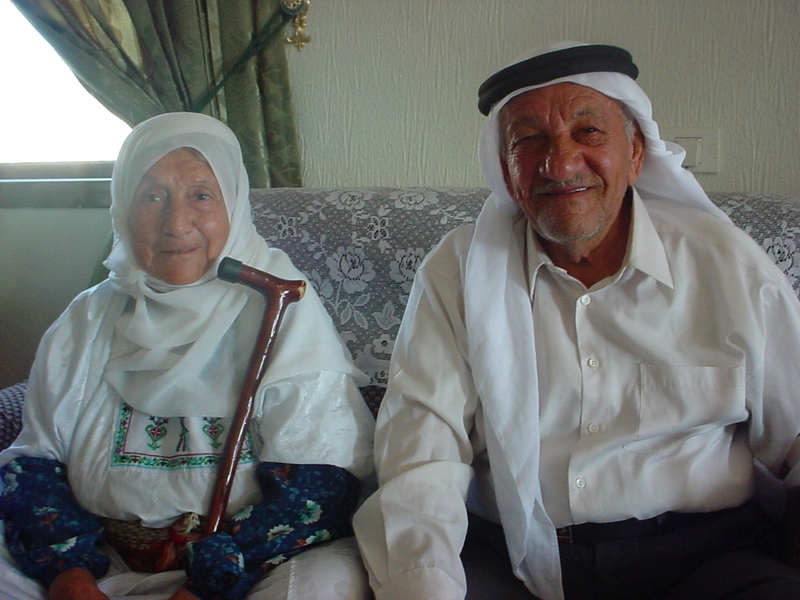 They were instrumental in getting the quotas established for women on local councils and the Palestinian Legislative Council. Their father believed strongly in equal education for women. When I met Intisar, she was working full time at a job that required a lot of travel, getting her master’s degree in international development policy, organizing against the Wall and had five kids. I could not believe anyone had so much energy! She was a wonderful friend to me and I always had such a wonderful time visiting her house. 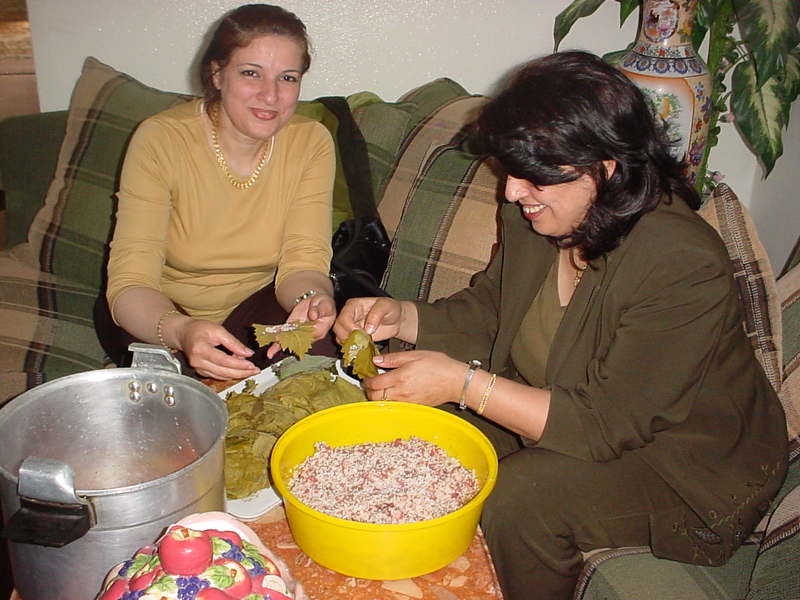 Here, she and Hanan are teaching me and my friend Tory to roll grape leaves (doali). I was terrible at it! There are a lot more photos on my facebook page.